This post is false advertising...I didn't make tacos for dinner tonight, I made black bean burgers...however I do NOT have the brainpower to post that recipe right now! Not that it is hard, but I didn't measure anything so I'm really going to have to be in the right mindset to pull that one together! 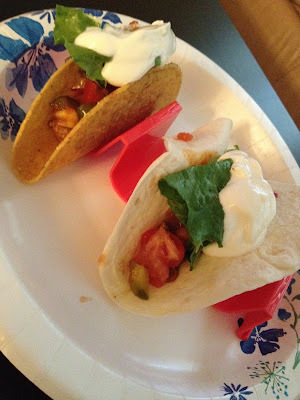 Tonight's post is about one of my favorite things....TACOS!!!! 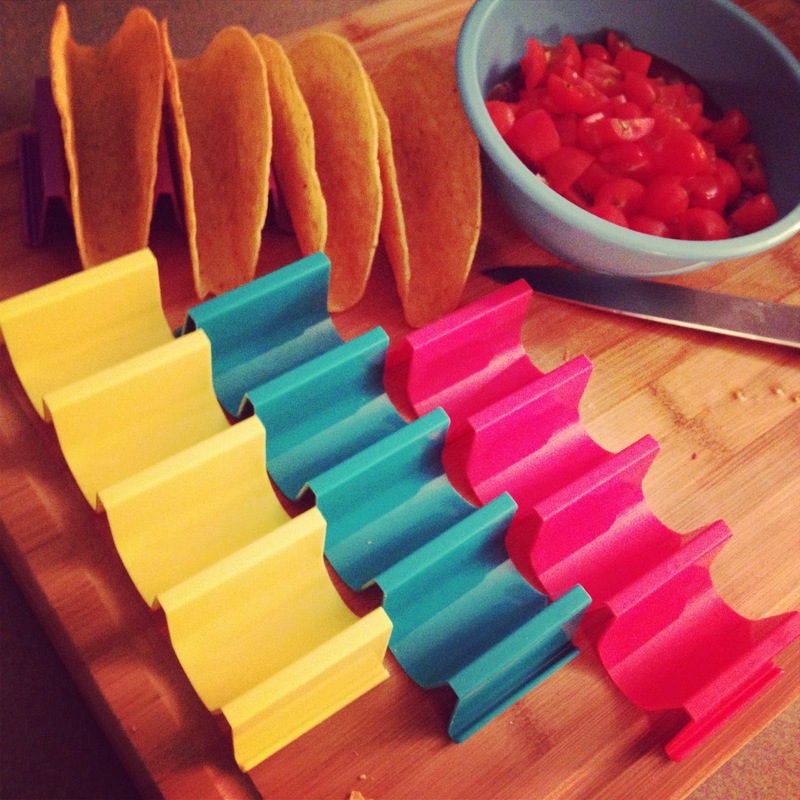 First of all, I wanted to share these fun taco holders! Speaking of tacos.... I wanted to share a tip on how to give an ordinary taco kit some "flair! Instead of just being boring and using the seasoning packet and ground beef, I first sauté onions, with zucchini. Then you brown the meat (in this case I used turkey meat). 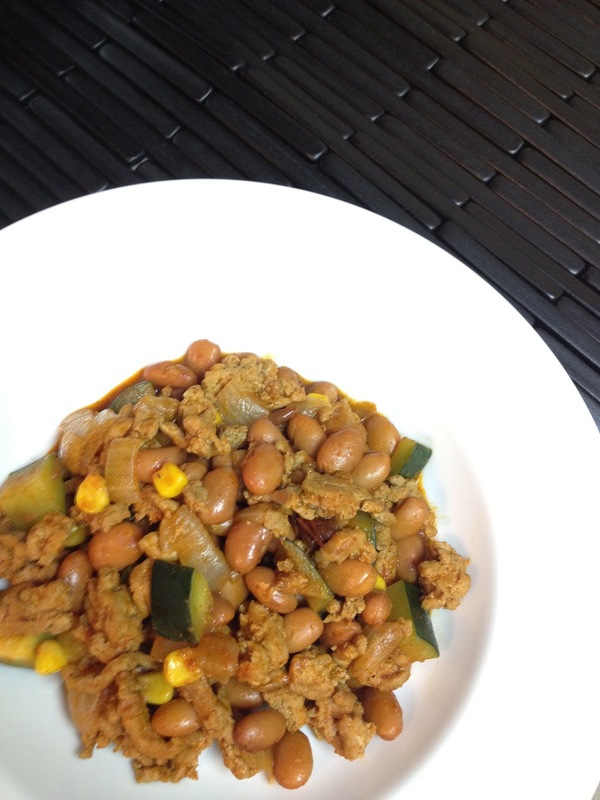 After the meat is browned, I add pinto beans, corn, the seasoning packet, and a half a cup of water. Mix it all together until the sauce thickens...it is worth the little extra effort! I do this all the time, and in case you don't know...I make tacos A LOT!! !